Onstage This Week: Houston Ballet's "Sylvia," World Premieres at Complexions Contemporary Ballet and BalletNext, and More! Artists of Houston Ballet rehearsing Stanton Welch's Sylvia. Amitava Sarkar, Courtesy Houston Ballet. Tulsa Ballet Brings Back "The Sleeping Beauty"
Ballet student Ashton Bradley in a scene from "Danseur." Photo courtesy NuArts Foundation. 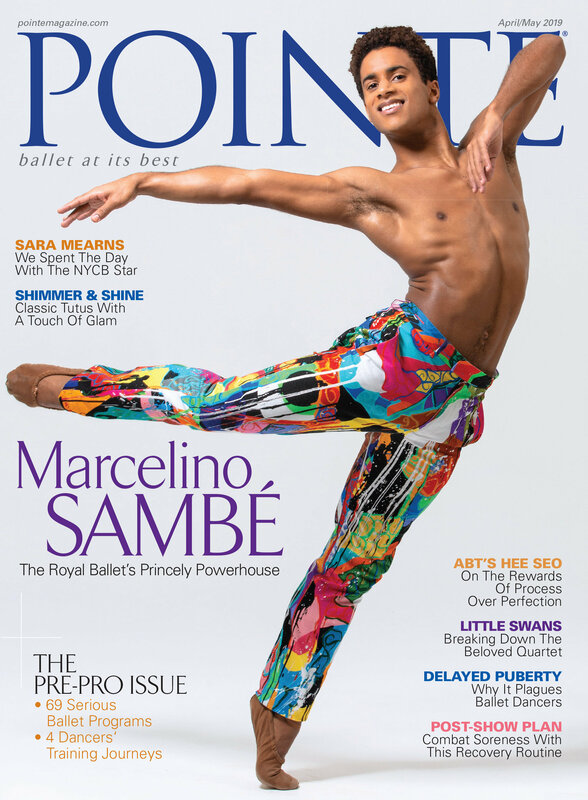 "I never wanted to stop dancing, I just wanted the bullying to stop," says American Ballet Theatre corps member Patrick Frenette in the trailer for Danseur, a new feature-length documentary about the social stigmatization young men face in ballet. His words shed light not only on the prevalence of harassment boys endure from peers outside the studio, but also their passion and determination to keep dancing in spite of it. The film, produced by NuArts Foundation, features interviews with ballet students, teachers and directors, as well as professional dancers like James Whiteside, John Lam, Derek Dunn and Harper Watters. And while screening dates are yet to be determined, Danseur has already generated a lot of social media buzz. Marcello Angelini. Photo by Rosalie O'Connor, Courtesy Tulsa Ballet. The close of the 2014–15 season marks Marcello Angelini's 20th year as artistic director at Tulsa Ballet, a company that has grown substantially under his leadership. Since he arrived in 1995, Angelini helped extend the dancers' contracts from 27 to 40 weeks and increased their salaries by about 60 percent. In 2003, he oversaw the opening of the Tulsa Ballet Center for Dance Education. Now, the first dancers from the school are starting to enter the ranks of the second company, Tulsa Ballet II, which formed in 2005. While it functions as a bridge between academic studies and a professional career, TBII also provides students with a stipend to offset their cost of living. Tulsa Ballet's Marcello Angelini builds an international troupe in the heart of Oklahoma. At first glance, the 28 members of Tulsa Ballet seemed to vanish, chameleon-like, into their roles when they performed last August at New York City’s Joyce Theater. Had principal Karina Gonzalez, so jaunty in Kenneth MacMillan’s fizzy Elite Syncopations, been swallowed up by her billowing Renaissance costume for Nacho Duato’s somber contemporary ballet Por Vos Muero? She and her colleagues dove into each new role with zeal, clear technique and an uncanny ability to move seamlessly from character to character. Since he came, Angelini has been instrumental in building an in-house theater and a new wing for the company school and has commissioned 20 new works. He is proud that the company’s annual budget has grown from $1.5 million to $5.5 million. And he’s got impressive projects lined up for the future: 2010 will see a new Edwaard Liang piece, among other working choreographers. While Angelini also plans to continue forging Tulsa’s international status, he’s looking homeward as well. The Joyce program and the 2010 Ballet Across America Festival at the Kennedy Center are part of his design to step up Tulsa’s domestic presence. “At this point,” Angelini explains, “the main focus for me is going to be trying to take the company more national than international.” And with a troupe that he envisions as small but mighty, always “vibrant on stage, alive and full of different personalities,” that sounds almost like a fait accompli. It was Tulsa Ballet Artistic Director Marcello Angelini’s dream to build a world-class company from the moment he decided to give up his career as a dancer and take artistic control of TB in 1995. Some would say that he has succeeded, and perhaps because he’s still a dancer at heart, his company is one where dancers thrive. TB’s latest endeavor is a series devoted to world-première works, presented in the company’s own 300-seat theater. The theme for the series debut, which is set for late April, is “About Tango.” Award-winning Korean choreographer Young Soon Hue, the tango team of Fernanda Ghi and Guillermo Merlo, as well as Cong, will each contribute a new work. Cong has already created three works for the company, including a Carmina Burana on the opening program of the 50th anniversary season last year. The new theater is part of an extensive, $17.5 million capital improvement and endowment campaign planned to secure the company’s future, not simply as presenters, but as creators of dance. The smaller theater will be much easier to fill than a 2,400-seat hall, which means more performances and longer contracts for the dancers. “About Tango” will run for 10 performances, complete with “talkback” sessions with the choreographers following each evening and opportunities for audiences to meet the dancers. It’s an innovative idea—but no more so than the founding of Tulsa Ballet 51 years ago by the late Roman Jasinski and his wife, Moscelyne Larkin. The two helped establish the idea of a regional ballet company. Now TB is redefining what can be expected of ballet companies outside the major metropolitan areas. However, even while Angelini brings in the best international choreographers, his company remains true to its hometown and takes its relationship to the city it serves seriously. While the company is ranked, dancers who are deemed ready are given the chance to try leading roles. Soloist Karina Gonzalez, who joined the TB corps in 2005, is a good example. Before her first season ended, she had danced the lead role in Angelini’s staging of Swan Lake, alternating with former Royal Ballet prima ballerina Viviana Durante. Aspiring dancers are attracted to TB not only for the quality of the work and opportunity to grow; the company’s challenging repertoire is also a lure. In June 2007, some 460 dancers auditioned for the chance to perform works such as Jerome Robbins’s The Concert, Bruiser by Stanton Welch, Hans van Manen’s Black Cake, Remansos by Nacho Duato and Andre Prokovsky’s The Great Gatsby, which are all on the 2007-08 lineup. And the company is also developing an international profile. In 2002, TB was the sole U.S. representative at the summer-long Sintra Festival in Portugal, and in April 2007, it was the only U.S. company to perform as part of the Belgrade Dance Festival in Serbia. Plans for performances in South Korea and Italy, as well as a long-awaited trip to New York City’s Joyce Theater within the next 18 months, are also in the works. Angelini’s dream of creating an exceptional company may not have been the easiest thing to realize, but along the way he’s proved that it’s not where you work that matters, it’s how you work. That’s a lesson that Blade-Martin and her husband, principal Alfonso Martin, learned through experience. When the 2006-07 season began, the couple was back in Tulsa. On the surface, it would appear to have been a step backward. But, as Martin puts it, it was the only way to achieve their dream. James D. Watts, Jr. writes for the Tulsa World in Oklahoma.